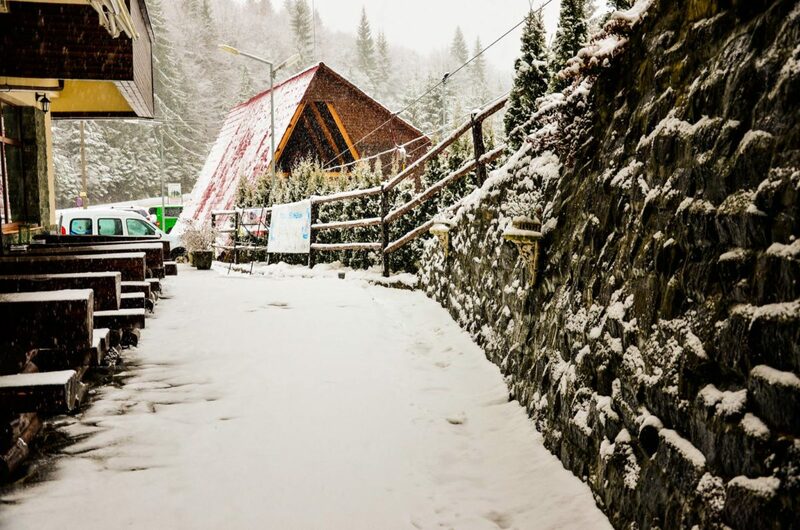 The former mining center of Cavnic is located in northern Romania, east of Baia Mare, in Maramures county. It was first documented in the 14th century and has developed around the mining industry throughout its history, up until 10 years ago, when the mines closed down. In recent years, the area has started to develop as a tourist destination, having the beautiful Gutai Mountains to rely on. Several mountain climbing and tracking paths can be explored there, regardless of the season. 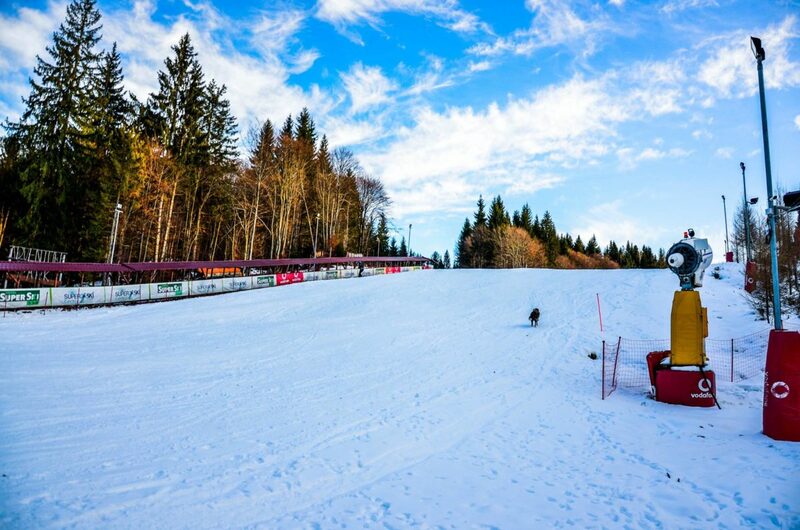 During winter, Cavnic offers two ski areas: the Icoana slopes and the Roata slopes, some 200 meters apart from each other. There are five slopes at Roata: Roata 1, of 920 meters; Roata 2, of 1,030 meters; Rainer 1 (Roata 3) of 800 meters; Rainer 2 (Roata 4) of 1,000 meters; and Albastra of 2,250 meters. Two smaller slopes connect Albastra to Roata 2 at 160 meters, and Rainer to Roata 1 at 140 meters. Rainer 1 and Rainer 2 are considered the most difficult ones, but both beginners and more advanced skiers will find a slope to suite them. Prices at Roata start at RON 30 (EUR 6.5) for one hour and reach up to RON 70 (EUR 15) for four hours. Day passes are also available starting at RON 90 (EUR 19) per day and can go up to RON 520 (EUR 112) for one week. 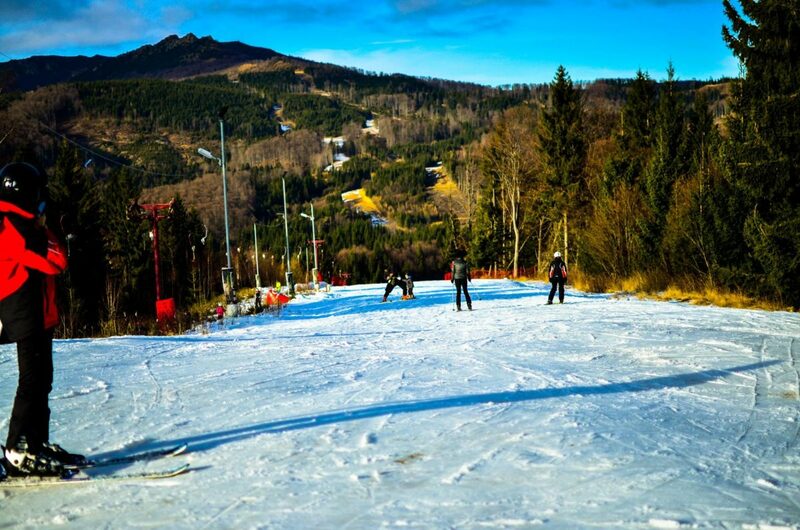 A ski school is available at Roata, offering classes for children and adults, on a separate beginners’ slope. The classes are available in Romanian, English, Hungarian, Spanish, German, French or Italian. Further details here. Skiing equipment can also be rented on site. Accommodation wise, there are numerous guest houses in the area and the three-star hotel Super Ski. At Icoana there are two slopes: Icoana 1 and Icoana 2, of 750 meters and 700 meters. The slopes are equipped with a chairlift and a night lighting installation. Snow tubing slides and a sleighing area can also be found here. Ski and snowboard lessons are taught here, and winter sports fans can also try a snowmobile ride. Further details here. From Baia Mare, Cavnic can be reached on the national road DN18 to Baia Sprie, then taking the county road linking Baia Sprie to Cavnic, and going through the villages of Șișești, Dănești and Șurdești. From Cluj-Napoca, the site can be reached easier through Târgu Lăpuș. For those coming from Bucharest, the closes airport is the one in Satu Mare, where the state-owned airline Tarom flies to. Although not so close to Baia Mare, the Cluj-Napoca airport has the most airlines linking the city to the capital.